In 2013 two of the founders of The Bourbon Review, Justin and Seth Thompson, teamed up with Larry Redman to open Belle’s Cocktail Lounge at 156 Market Street in Lexington, a bourbon-focused hotspot. 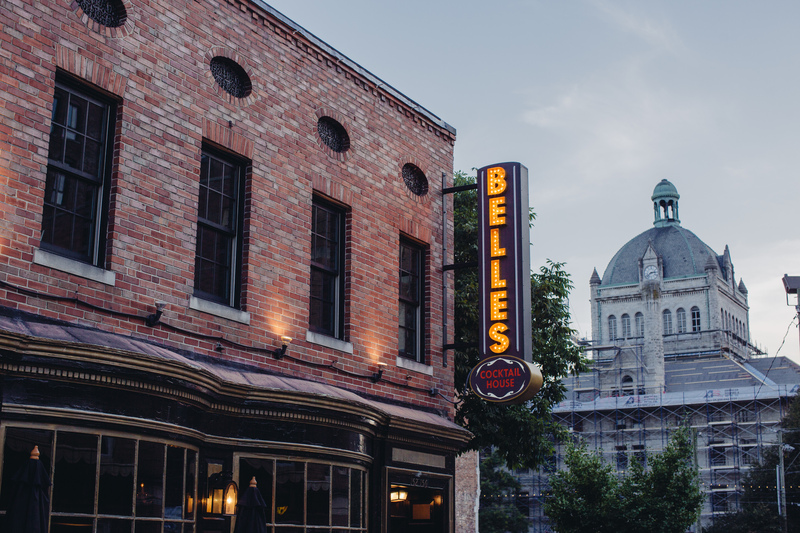 Belle’s is named after one of Lexington’s most famous former residents, Belle Brezing. Brezing was a very successful and highly respected Madam, on whose life Gone With the Wind’s Belle Watling is thought to be based. Her life is still celebrated throughout Lexington today, and she gained so much fame and notoriety in her lifetime that her death in 1940 was recognized in Time Magazine with an obituary. Her brothel was often billed as “The Most Orderly of Disorderly Houses,” a motto Belle’s Cocktail Lounge has not only embraced, but has also incorporated in its logo. On the wall you will find 125 bottles of bourbon on average. Included in the lineup are the full line of Van Winkles, numerous hard-to-find bottles, and several private barrel selections made by the staff and owners of Belle’s. Currently there is a Knob Creek 9 year old Single Barrel, a Wild Turkey Russell’s Reserve 10 year old Single Barrel, a Maker’s Mark Private Select, a W.L. Weller Antique 107 Single Barrel, and two Four Roses Single Barrels. New selections are made regularly. “We try to have the best 100 bourbons out there,” says co-owner Justin Thompson. There’s also a solid collection of wine, beer, and other spirits. 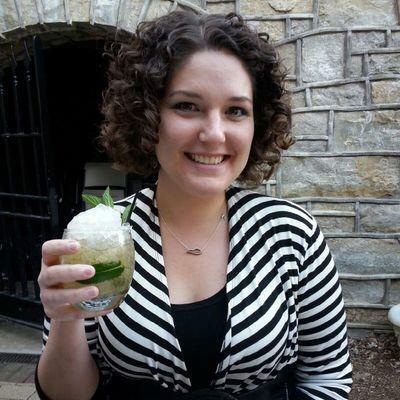 Cocktails range from basic to ornate and include everything from a Manhattan to “Orange is the New Whiskey” and “Walk the Whiskey Line.” Bartender Dani is a regular at Camp Runamok, an intensive training program for mixologists nationwide. You can always be sure you are getting a great cocktail and accurate information whenever you visit. On the outside wall of the building you will find a large mural painted by German artist Herakut titled “Lilly and the Silly Monkeys.” Herakut’s wall paintings are featured around the world, though there are only 6 currently in the United States including the Wynwood neighborhood of Miami, Florida and Playa Vista, California. Events are held regularly and range from bourbon and country ham pairings to the popular Butts, Bellies, Bourbon, and Beer event that featured Buffalo Trace’s Freddie Johnson. Belle’s has hosted Bobby Flay and Julian Van Winkle, and Belle Brezing’s birthday is acknowledged every June 16th. 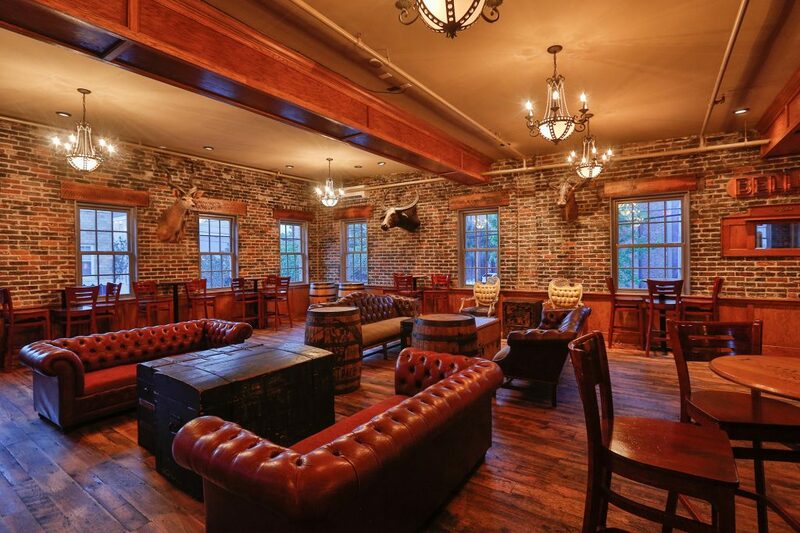 The Hunt Club is an upstairs space available to rent for private events that can hold up to 75 people. The future of Belle’s Cocktail House shows no signs of slowing down. Already construction is slated for a new rooftop bar that will open in 2017. It will be the first rooftop venue for a dedicated bar in Lexington. Currently Belle’s Cocktail House is open Thursday, Friday, and Saturday from 5 p.m. to 2:30 a.m. Stay tuned to their Facebook, Instagram, and Twitter pages for information on upcoming events and new bourbons.